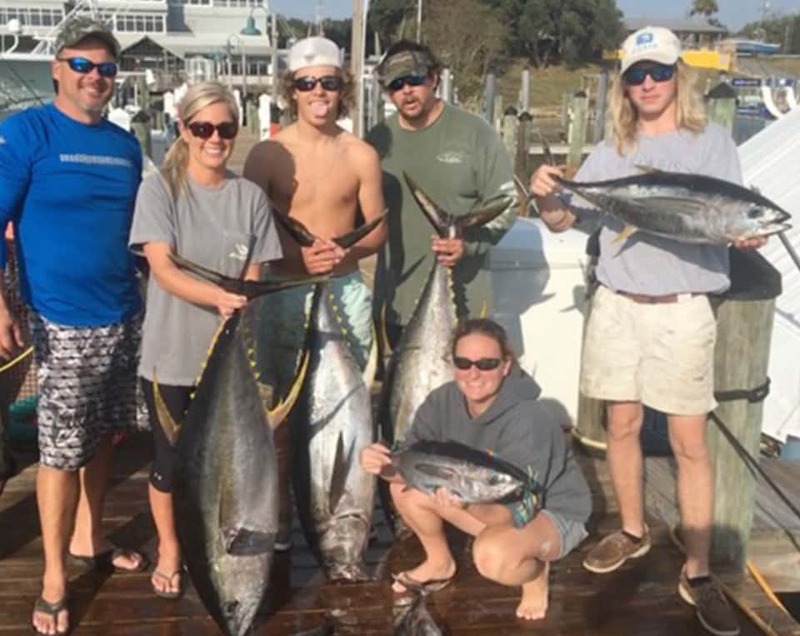 No Alibi Destin Fishing Charter Boat – Locally-Owned, Family Business. 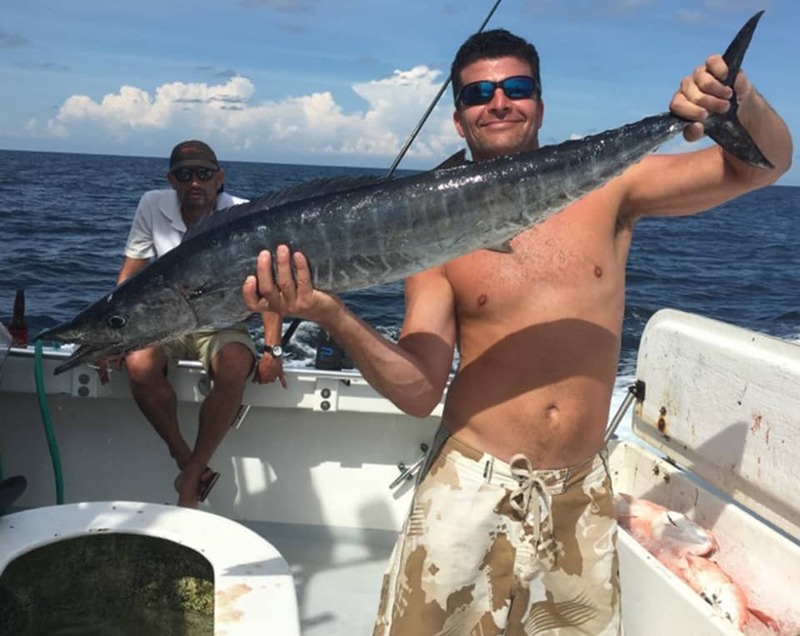 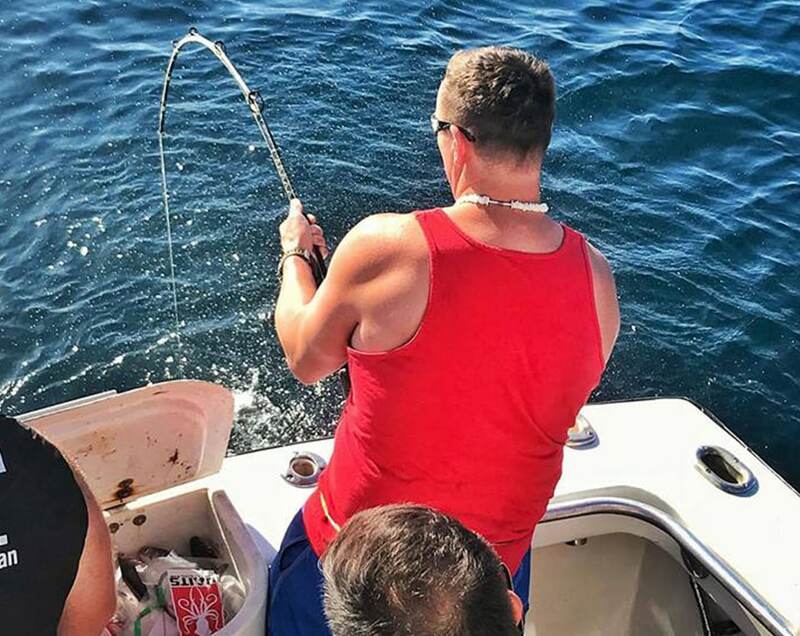 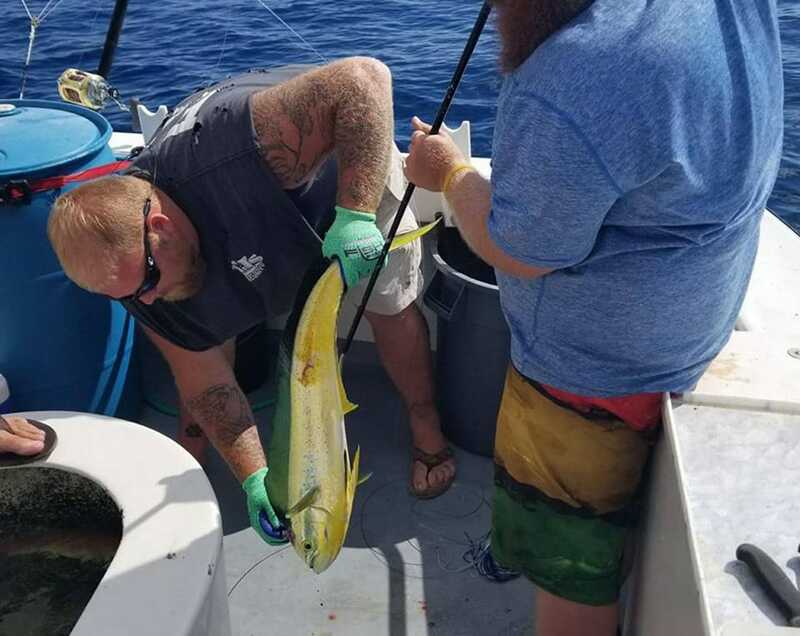 NO ALIBI CHARTER FISHING IN DESTIN – WE’RE MARRIED TO FISHING! 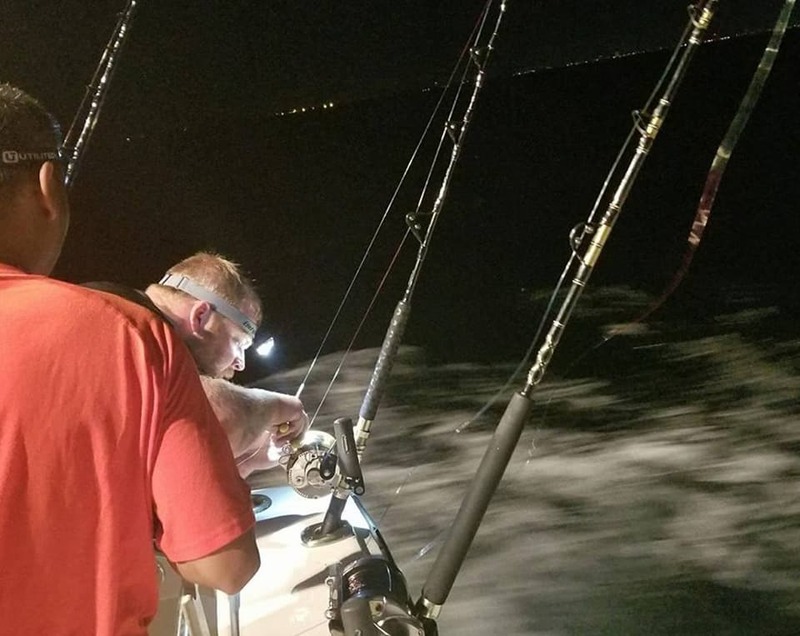 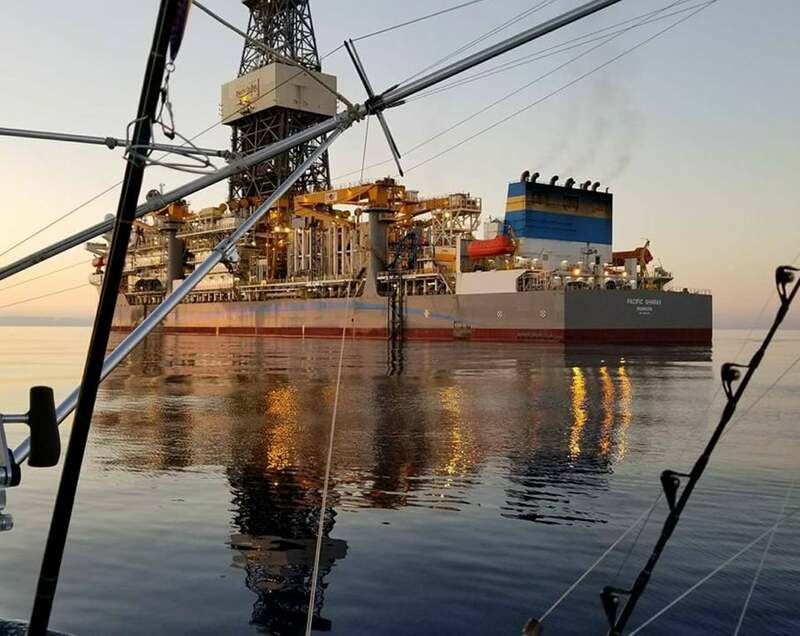 No Alibi’s ‘Make it Hap’n Capn’ Schofield & World’s Greatest 1st Mate Brian Friend never take you out charter fishing on the Gulf of Mexico without a solid plan of attack for your trip. 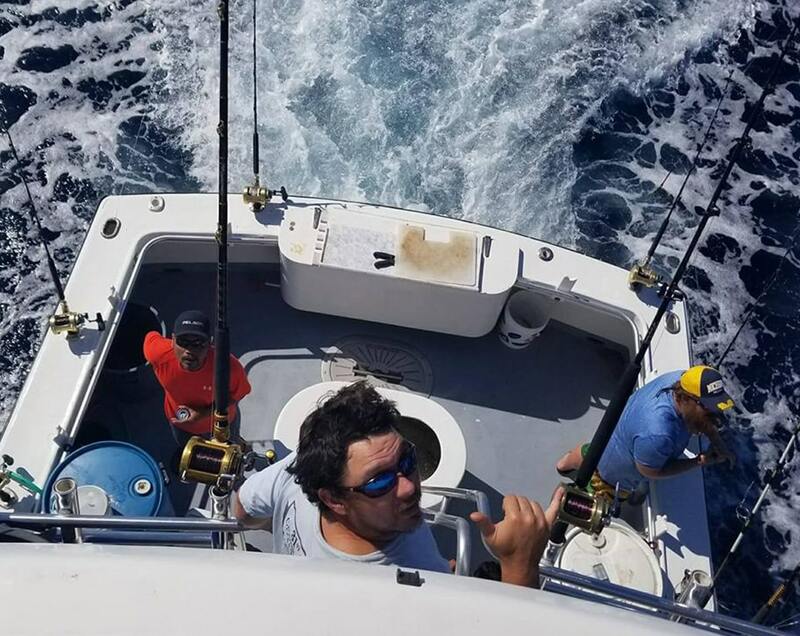 We keep close track of the season, what’s running, weather conditions, and the latest tactics for landing max amounts and keeper quality. 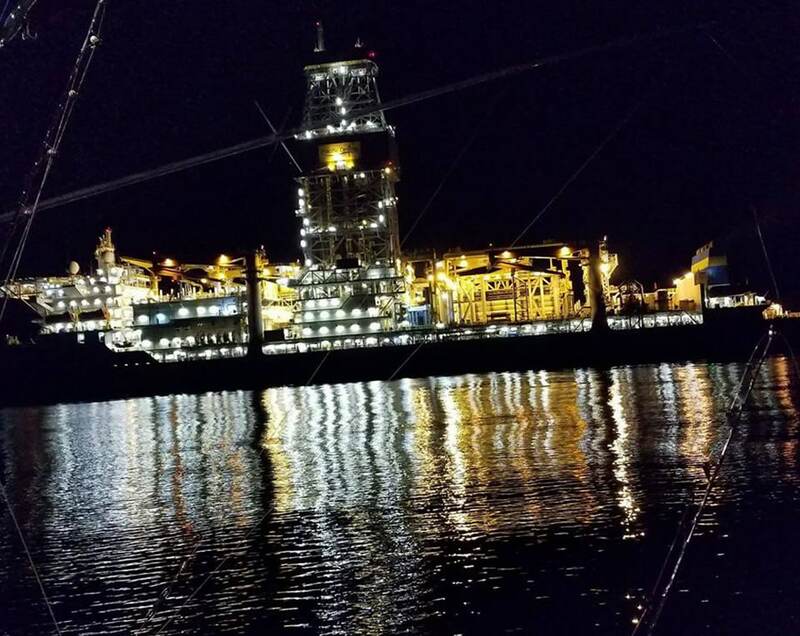 You can follow our adventures here and use our observations to make your fishing plans! 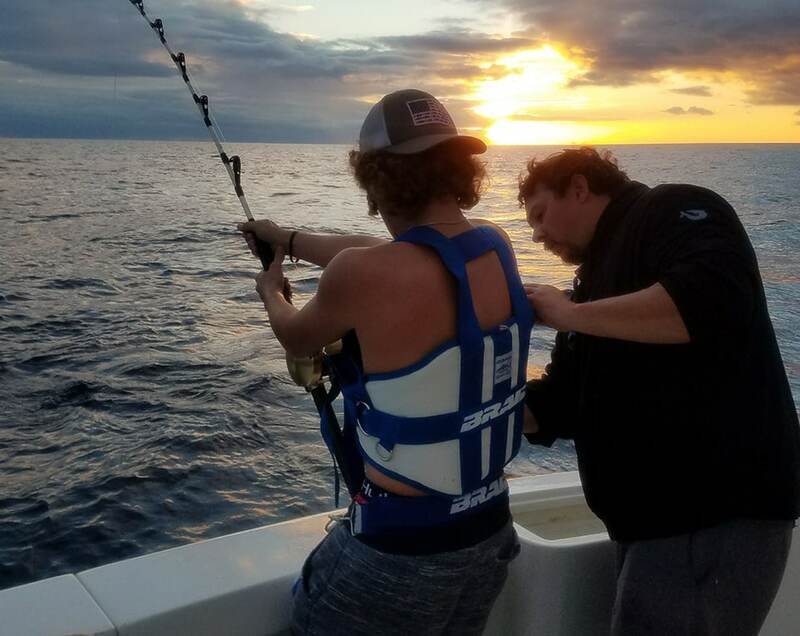 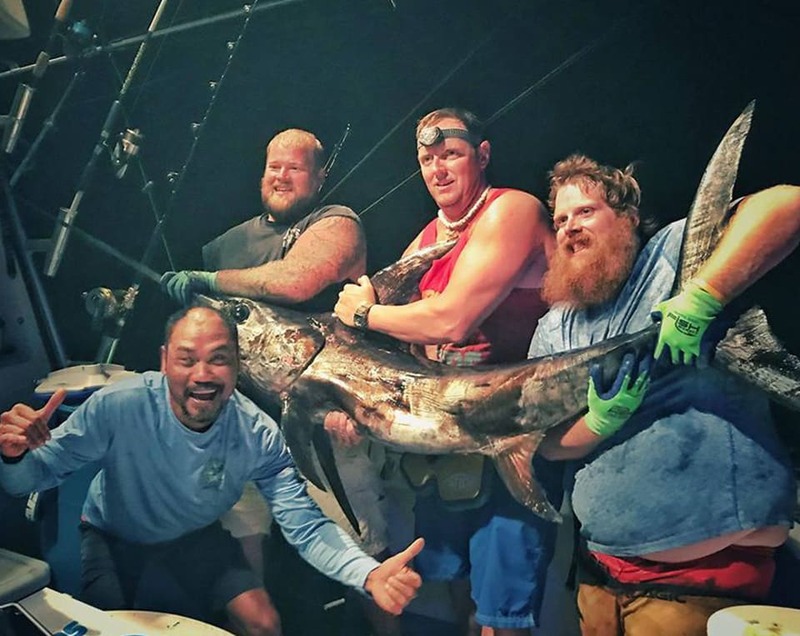 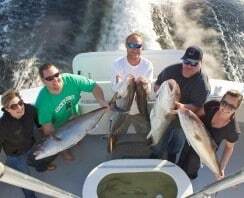 NO ALIBI DESTIN FISHING CHARTERS – AWARD-WINNING MASTERS OF COBIA ON THE GULF OF MEXICO! 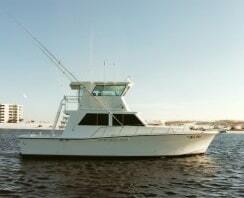 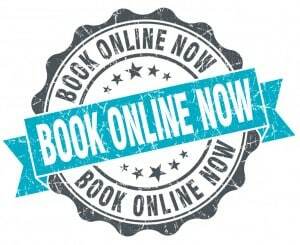 MAKE YOUR DESTIN CHARTER BOAT RESERVATION ON 42 FEET OF OFFSHORE, DEEP SEA FISHING FUN & ADVENTURE! 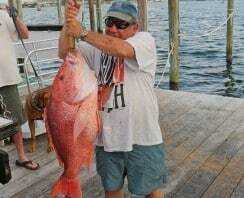 No Alibi is an award-winning part of the world-famous Destin charter fishing fleet located at the Harborwalk along Destin Harbor, and we are reknowned for our charter clients bringing home catches that include Red Snapper, Mingo Snapper, Trigger Fish, Drum, Sheepshead, Bonito, Pompano, Amberjack, Mackerel, King Mackerel, Wahoo, Mahi-Mahi, Tuna, Marlin, Cobia, Grouper, Trout, Flounder, Shark, and more! 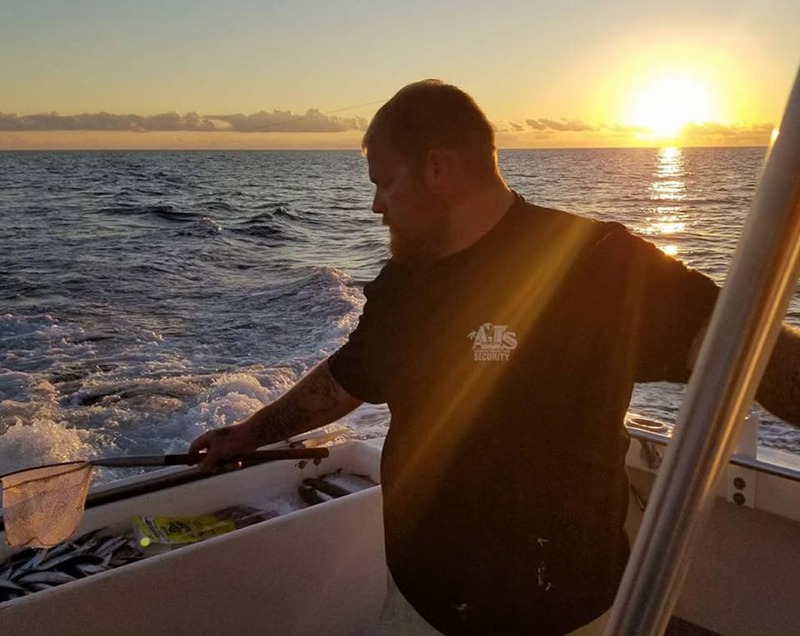 Captain Chris Schofield is a master sports fishing expert skilled in getting the boat on just the right spots while 1st mate Brian Friend has wide-ranging experience assisting all types of customers from every background and from every region of the United States and knows exactly how to make your fishing trip one to remember for years to come. 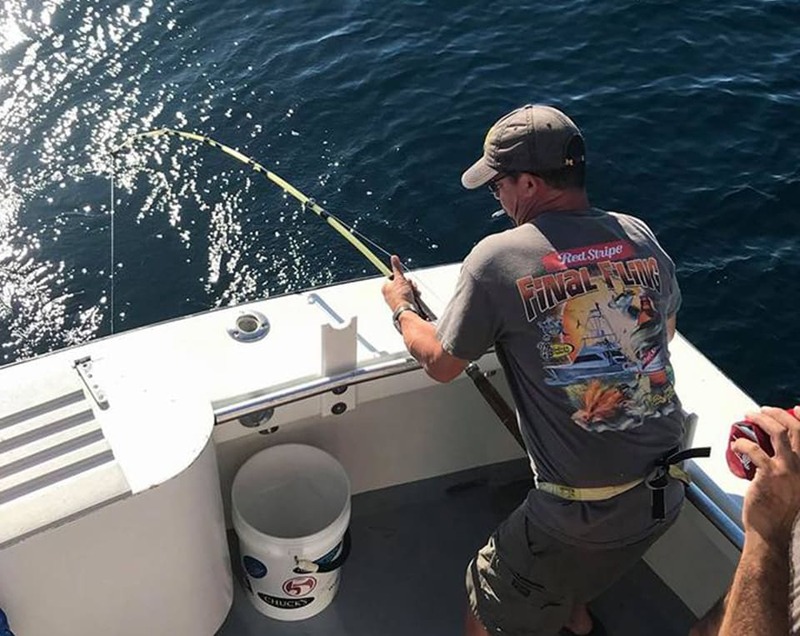 The No Alibi crew gives you the best fighting chance of landing in-season catches that you’ll be proud to display on the board when you get back to the docks.